With all eyes on you on your wedding day, finding the perfect gown that really makes you *dazzle* is crucial, right? Because every bride deserves to look amazing and feel confident on their big day. But finding one that ticks all the boxes isn't easy, which is why this creative designer is designing her own and they're so magical, you won't believe your eyes. With so many different parts to the perfect bridal look, from the shoes right up to the tiara, it can all be a bit of a minefield. 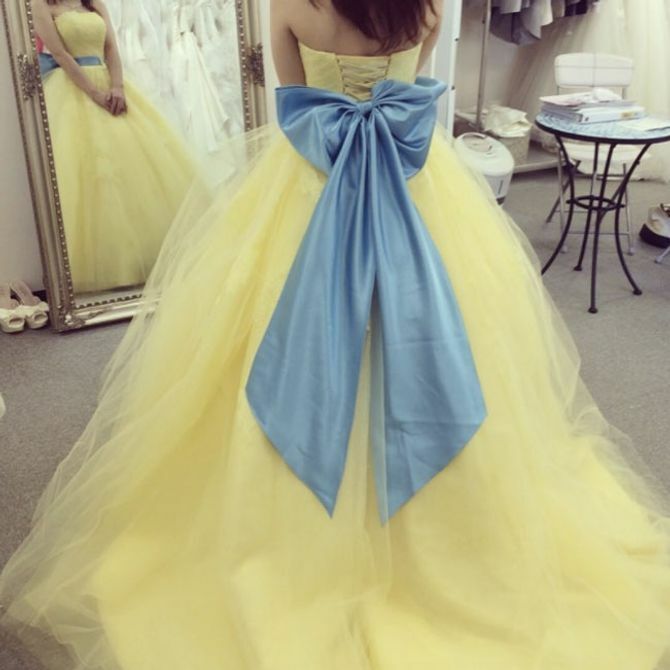 But while a good place to start is with the dress, choosing the perfect one can be one heck of a job - making the exciting process a stressful one too. With so many different design decisions to make, (a long train or floor length gown? Backless or strapless? Lacy or sequinned? To veil or not to veil?) it can make the whole thing a real challenge. *Sigh*. If only a bespoke wedding dress service existed that could create whatever your heart desired - pink flowers and all - saving you trawling round the country trying a million different ones on. The good news? Such a unique service does actually exist. The bad news? You'll have to fly to Japan to get your hands on one. Yep, one designer who's throwing all the traditional wedding dress dilemmas out of the window and making her own rules instead is @landybridal - and she's already our new Instagram crush, soz David Beckham. 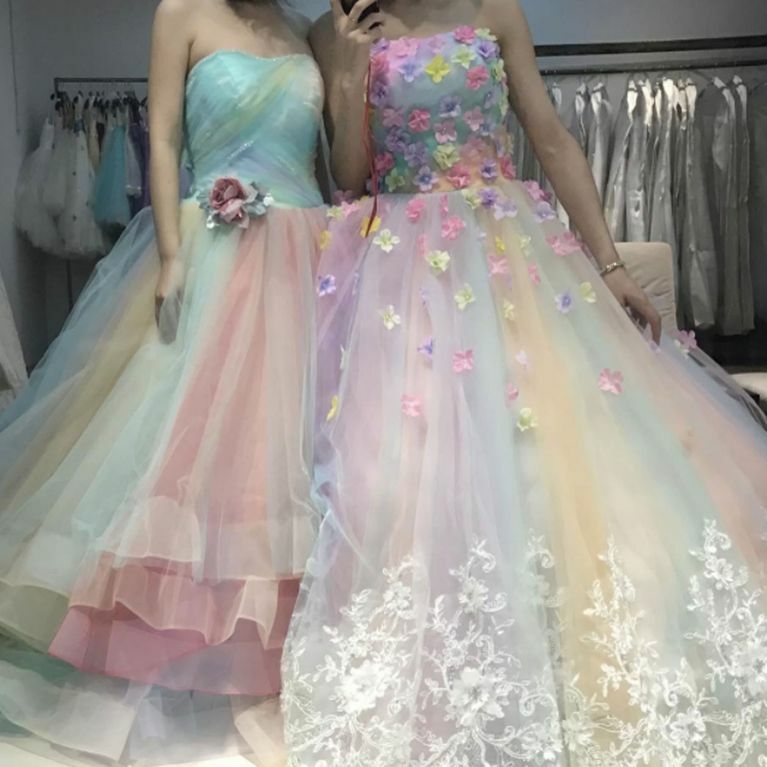 From decadent Disney inspired gowns, to pleated skirts that are basically the unicorn AND rainbow emoji IRL, it seems no design is off limits. Better add a trip to Japan into the wedding budget, eh? The guests can go hungry, who needs food and favours anyway? What do you think of these unique marital designs? Let us know @SoFeminineUK!